If you live in Southern British Columbia, you’re no stranger to rainy days. The “triple threat” group of storms of this past October showed just how wet Vancouver’s rainy season can be, leaving detrimental consequences for many homeowners across the city. When a lawn or garden experiences too much rainfall during a short period of time, they are prone to weeds, fungal diseases, and other issues which may threaten their health. 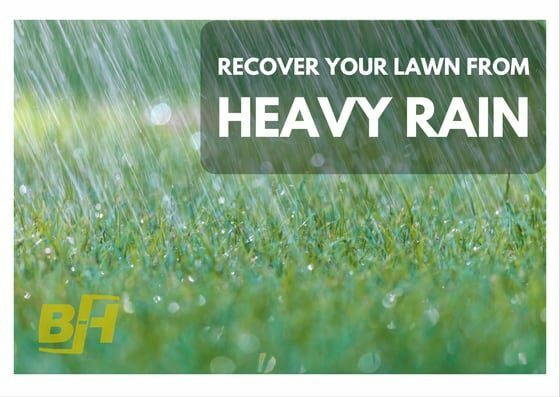 Fortunately, there are a number of ways you can help your lawn or garden recoup after a long period of rain or a heavy storm, as well as preventative measures you can use to stop the damage before it happens. Lawns may appear underwater after a long period of rain or a heavy storm, as their soil becomes saturated after a certain amount of rain. This allows the water to collect in the low lying areas of your lawn, flooding the grass and leaving damage in its wake. Let your lawn dry out before you walk on it. Walking on wet turf can make the damage worse. Remove any leaves, twigs, or other debris from your lawn to reduce the chance of fungal diseases. Fertilize your grass if it appears yellow. Floods can drain your grass of its nutrients, but fertilizing your lawn can help it recover more quickly. After heavy rainfall, your plants may appear flattened and damaged. Heavy rainfall can cause damage to plants, but generally they retain structural integrity despite the severity or length of the storm and will typically return to their upright position within a few days. Many plants can survive a storm without long-term negative effects, but others may suffer from severe damage. Cut off the most severely damaged parts of the plant to make room for new branches and leaves to grow. Plants typically sustain damage after heavy rainfall if they are over fertilized or receive little sunlight, so run a soil test after a heavy storm to determine how you can best prevent damage in the future. Keep your gutters and drains clean to prevent flooding in certain areas of your lawn or garden. Raise your garden beds to help reduce the chance of flooding in these areas. Aerate densely packed soil to help it drain more efficiently. Keep your lawn at an ideal height – longer grass traps more water than shorter grass, so mow your lawn before a severe storm. 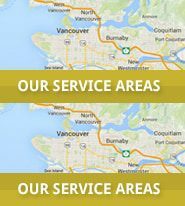 If your lawn is suffering from the effects of British Columbia’s recent chain of storms, contact Bur-Han Garden & Lawn Care today to learn more about how we can help you restore your lawn to full health. Our team of experts can help you choose the best recovery method for your lawn or garden. Call us today to schedule your free consultation.